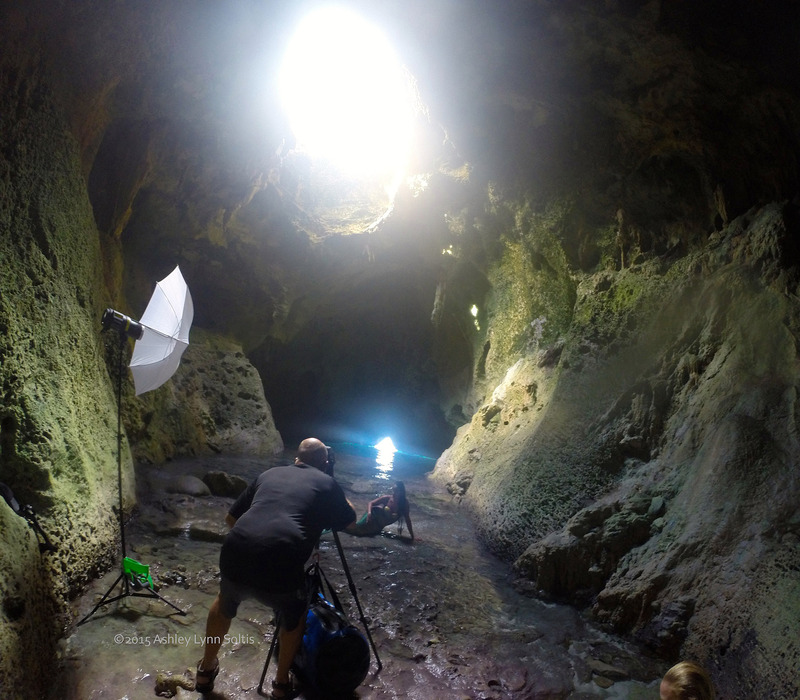 Behind the scenes working in one of the grottos on Rocky Dundas Cay, Exuma Cays during Mermaid Portfolio Workshop earlier this week. We float camera, Profoto B1 light and other dry "stuff" in the blue bag weighting the tripod. Our entrance is the triangle hole at the back of the grotto, so we have to time the entry to tide, wind and wave conditions. The "picture" is the mermaid in the foreground and up to the hole in the grotto ceiling.